If you are a student who is about to move for school, then Strong Move can help you relocate to your new accommodation. We can even help you move to another country. We understand very well that moving away from home can seem a little stressful but rest assured that we will do everything possible to take away this hassle from your mind. On the other hand, we have already completed a lot of student removals and we excel at making the process as smooth as possible. In addition, we can help you pack your belongings. All you need to do is to contact us in advance and request a delivery of packing materials. And since you are moving to another place for at least a year, chances are that you will be bringing more than just your clothes and books. Be it a PC, a desk chair, maybe a TV or a musical instrument, or all of these, you can count on us to deliver all your belongings intact. We can make your relocation stress-free for you so you can focus on more important things you should do. Right now you might be wondering what makes Strong Move the right company for you. In case you need to move as soon as possible, make sure to give us a call. If there is an available moving team, then we'll be able to help you move the very same day. Next-day appointments can also be arranged. We'll do everything possible to aid you if it is urgent. We are able to give you a quotation for your service and we'll stick to it. There are no hidden charges, no surprise fees. Just make sure you give our phone operator all details about what needs to be moved. And don't forget to ask our operators about how you can get a discount. We've been handling all kinds of moves in London and across England. Throughout the years, we've mastered the process to make sure that every step of your move goes smoothly. And if you need to talk to somebody, just give us a call and our customer care team will be with you right away, no matter what time of the day it is. We understand that you might be a little worried prior to the move. Especially if this is your first move. However, we guarantee that the movers will handle your belongings with the utmost care. And of course, we hold public liability insurance, too. The movers who will carry out your services are cheerful and helpful people. They will swiftly load your belongings in their van, make sure everything is fastened, and be on their way to your new address. Expect your belongings delivered just the way you packed them. Oh, and if you need help with packing, we've got a service for that as well! Give Our Other Services a Try! You can take advantage of our end of tenancy cleaning no matter if you are moving in or out. Secure your deposit by surprising your landlord with a squeaky-clean house or give your new home a thorough scrub before moving in. If you don’t like the idea of spending hours and hours folding clothes and labelling boxes, Strong Move is here to help. We can pack all your personal belongings, furniture and equipment and safely transport them from point A to point B in zero time. 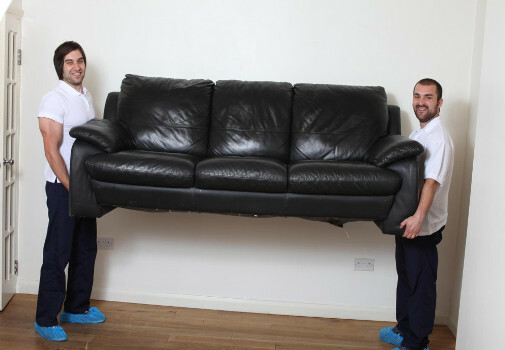 Strong Move is a renowned removals company in London. Your belongings will be in safe hands during the entire moving process with our man and van service. Want to buy some new furniture, but don’t know what to do with your old pieces just yet? Strong Move is here to offer you affordable and highly secure furniture storage solutions that will give you time to sell/donate them without taking up valuable space at your property. If you’ve come to London on an exchange programme and now, it’s time to head back home, we can help you move your stuff at affordable rates. European removals are not something new to us. Just book a day that suits you the most and we’ll send a team of professionals who will load and transport your possessions back to your home country. You can opt for Strong Move to transport your stuff to your hometown if you're spending time with the family there in the summer. It doesn’t matter if you only want a few boxes with personal essentials packed, loaded and moved. After all, you don’t want to carry those around on buses and trains, right? We can help you relocate swiftly to your new address upon the termination of your rental agreement. Strong Move can assist you with your packing and the end of tenancy cleaning needs, as well. Also, our company can provide you with short-notice student removals solutions, subject to availability. Moving with your friends from one place to another? Then, why not coordinate your relocation and have your stuff packed, loaded and transported to your new destination at the same time? Strong Move specialises in student removals services, so you can confidently entrust the job to us anytime. We’ll meet your individual requirement to the best of our ability. So, you’ve got your degree and want to move on to another city, go home or relocate somewhere in Europe? Strong Move can help you in any case, whatever your plans are. We’ll send a crew on moving day and load your possessions with care and diligence in a vehicle of the right size. Then, they’ll be transported, fully insured, to your new location. If you require packing materials and packing assistance, you can book those, too, at the same time. And there are things you don't wish to take with you and need to throw away, we can also provide you with a rubbish removal service. To help you decide on choosing a trusted moving company in London, note that Strong Move offers a high level of flexibility when it comes to your student relocation needs. For instance, we can help you with the delivery of packing materials, right to your address, as well as pack your belongings in a secure and efficient way. If you choose to do the packing yourself, that’s alright, too. We can still supply you with the right sized boxes and save you time. We also offer assistance outside business hours (evenings, weekends), which means that you can plan your move to meet your exact date- and time-related needs. This may be especially handy for young people, who are moving a long distance to do their studies, including overseas (EU). In addition, should you need to place your stuff somewhere for a temporary safekeeping, you can combine your student moving service with our secure student storage solutions, as well. Get in touch with a friendly phone operator and receive your personalised free quote ASAP!